The Sun Met celebrated with Champagne G.H.MUMM is back with THE jazz experience in 2019. The Glenlivet JazzTown in partnership with THE definitive single malt whisky, The Glenlivet, and Mzansi Magic will offer guests an opulent marquee occasion in the midst of a Mother City summer in the company of some of South Africa’s most celebrated musical talents. 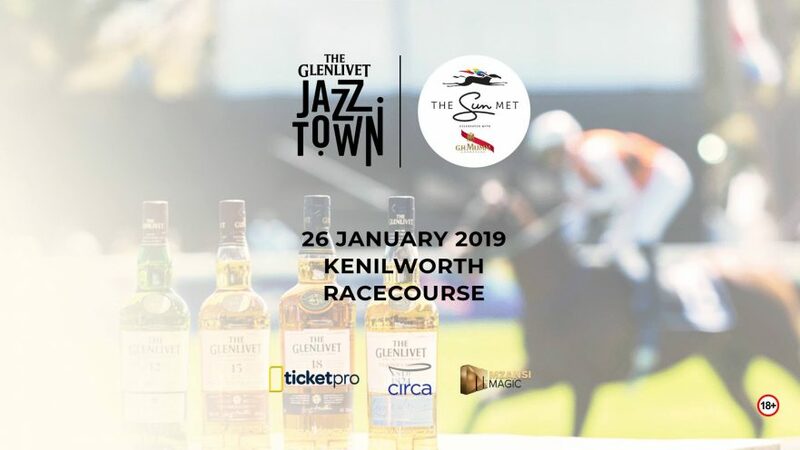 The Glenlivet JazzTown will bring urban rhythms to the event and offer a luxurious environment for corporates and socialites to network whilst experiencing the thrill of thoroughbred horse racing. Experience the smoothest sounds, cosmopolitan fashion, and a distinguished lifestyle at #TheGlenlivetJazzTown marquee at The Sun Met in Cape Town on 26 January 2019.